In fact, that’s why I think the label SEO copywriter is redundant. Every web writer worth his salt is a SEO writer. At least they are if they write clear, concise and compelling copy. The question is, content creator, are you? Did I miss it? Are there more than three words that describe successful online content creation? Let me know and we’ll debate it. About the Author: Demian Farnworth is Senior Web Writer for an international humanitarian aid organization and blogger for Fallen and Flawed. Follow him on Twitter. Next article: Are the “Proofreading Police” Watching You? Hi Demian. This is a very good article. Easy to comprehend and very helpful. Some points I’d like to raise. Making an article clear and concise is rather easy but making it compelling is quite tricky as “compelling” is arguably a subjective term. Hope you can write a separate article on this one. Writing Compelling Articles 101, How about that? I agree with it all, but I love the last part. When I first started writing SEO copy a few months back, I was far too concerned with keyword density. Yeah, I’m done with that. I end up spending way more time on copy that I’m not as proud of. It’s short sighted at best. Search engines will get better. The creamiest copy will rise to the top. Great concise post with tons of laser focused tips. Writing for the web is a minimalist affair. Your words, sentences and paragraphs are short. Precise. Lean. Tight. Posts like this are why I visit here often. I think that your advice here can be used in most forms of copy, not just on the internet. Most people want everything cloean, cut and to the point. At the same time, however, I ask them to keep three more words in mind: Fresh, Relevant, and Accurate. The importance of which, of course, varies depending on where you are on the site, what you’re writing about, and what your objective is. Also, the bit about SEO copywriting is so true. I love this. I have just been aware of my own website lacking in these principles. We are up for a redesign 🙂 I realized I wrote things from my heart thinking my clients would be interested but I realized that the content is more of what would interest me and not them… hmm selfish writing I suppose 🙂 Thanks again for the article. I tend to be very verbose, so these will be great things for me to keep in mind when I’m writing for my three blogs. I think they could be applied to any kind of writing, actually. For example, when writing fiction, sometimes saying less is more because you’re leaving it to your readers’ imagining. If you draw and spell it all out for them, it takes away the fun. Three words for you: That’s great advice! Dumb, Dumber and Darwin: I’d love to write a follow up article on how to be compelling. In the meantime, tons of content on Copyblogger on how to be compelling…search the site for emotions or just visit the Copywriting 101 under Resources. Danny: You’re correct. Web writing is beginning to dictate print copy, especially as people are programmed more and more on the web. Well said. Being in full swing with *simplicity* in my personal and business dealings, I think it is important to break it down like you have here. One thing you did in your article that warrants consideration for a 4th ‘C’ would be Conversation. This is the life of a blog, right? To create community through content that creates conversation… (say that 10x fast). As for SEO writing, I disagree, especially for new sites it is important to let the search engines know why you exist, this is done with keywords and keyphrases. Different niches respond differently to keyword articles, and certainly want to avoid keyword stuffing, but having it in the appropriate places naturally has proven to put a site ahead of competitors who aren’t intentional with keywords. Making it with keywords is nice, but making it compelling is better still. I think you’ve basically summed up my writing philosophy. Perhaps some of the best writers are those that are obsessed with what works. What brings results. What the majority of people actually enjoy. I’m ruthless in this area. And I’ll delete a whole paragraph on a drop of a dime if I think it slows the delivery, regardless of how much I may personally like it. Your point about SEO Copywriting made me sit back and think. I now realize it’s much better to write content in the form it would be most compelling, enjoyable and useful to the reader than to tune it to the search engine. One logical point is, the search engines are trying to find the content that is most relevant and useful to the human reader , and they will only be getting better at this. So, when I target the reader correctly, the search engines too will rank me high, especially as they become better at finding what’s really useful to the reader. Being new to copy writing I need to learn fast to promote my business. Your articles are great bite size chunks of information that really focus the mind. I forgot to mention: The book to buy on how to write compelling copy would be Joe Sugarman’s “Advertising: Secrets to the Written Word.” The best 40 bucks you’ll ever spend. Travis Campbell: “C” for “conversation.” I love it. Can’t see how I missed it. Thanks, buddy. @Writer Dad — not necessarily the “creamiest copy” that will rise to the top… people need to think in terms of traffic as well. A blog post, page or otherwise that draws a lot of traffic, regardless of how good the copy is, will always have additional pull in the search engines. Hard to rank something – written on the same topic – at a lower position if it has a huge traffic advantage. Now, marry the two and you are good to go. SEO is kind of assumed these days. Optimized meta data, anchor text, keyword densities, strong interlinking, … almost seems like fundamentals that help with a slight boost here and there for competitive topics. @Sundara Raman — targeting the reader (audience/market) just means that you are positioning yourself well with your segment(s) of the market, assuming that you have done your homework and gotten lucky. Doesn’t mean anything beyond that… search engines will always evolve and change how content is being served just as individuals evolve and change how each searches for information. We try to relay the same principles of clarity and simplicity in web writing to our readers on the iGoMogul blog, and this shows that it doesn’t have to be difficult. Great article, and we look forward to seeing one about writing compelling content as well! Clarity and simplicity are crucial elements no doubt. However in this age of information overload, I’d add veracity to the list. Opinion and fact are often intermingled in such a confusing way that the reader does not know what to believe. Truthfulness is so important in this era of dumbed down education and functional illiteracy. This seems to be very true, from both ends as a writer and as a website user. It is very nice to visit a site that is clean, clear, concise, & compelling instead of full of extra words that only cause confusion. The same is true from a writing standpoint, there is no better advice than writing with those ideas in mind to avoid rambling. Thanks for summarizing so well! Isn’t that really overblown? A Google search for “clear concise compelling” returns nearly a million results. Including the book, “Clear > Concise > Compelling: How to write less and achieve more” and a blog at ClearConciseandCompelling.blogspot.com. I think the introduction built up a promise that your copy couldn’t uphold. Although I think the content of the article is probably excellent, it was hard to focus on it through the disappointment that the fantastic, never-heard-before formula was actually so pedestrian. If you simply cut the couple of sentences I quoted above (speaking of “concise”), I think this article would be so much more compelling. Hold on…is the Rich Jerk legit? Or is that a spoof? Apologies in advance for a) being dimwitted, b) being duped, c) completely enamored with RJ. Sandra: Neither the book nor the blog you reference have anything to do with writing for the web, web usability or persuasion…let alone even codified it into a simple, easy-to-remember principle for web writing. That’s all I’m claiming. That was clear, concise and compelling. Thank you. Demian, great article. This is my first time reading your blog. The timing is perfect. I just had this conversation with my writing team as we are about to redo a website. I said, if you write for the web most of your words should be meaningful, so you’ll cover SEO by default. We’ve even said those 3 words–everything important comes down to 3 words, right? I would dare to suggest that this is a more useful list than “clear, concise, and compelling” because it elaborates on what is compelling and doesn’t exclude all the wildly successful content out there that is far from concise or clear. In addition, I would also suggest that SEO copyrighting can be very important. The reason is that links and keywords can be inserted into the content in such a way that other pages can be given a boost in search engine rankings. Your comments seem to be forgetting that there’s more to SEO than the particular piece of content you are actually writing. Thanks for posting this article. This is the one that I’ve been looking for. Simple and clear. I think everyone agree with me. Writing lesson from Rev. Maclean character from movie ‘A River Runs Through It’, who was providing writing lesson to his sons. Less is better [as he struck out almost everything written by his son]. Wonderful post. I especially appreciate the bit about SEO copywriting. However, we should note that what we’re setting up as obviously clear, concise, and compelling is journalistic copy. The form jumps to online uses seamlessly. Good journalism makes for good web content. Which is why we have to emphasize SEO copy, because otherwise people will use fiction, prose, poetry, essays, etc., when only journalism is search engine friendly. Plucks his guts strings…that’s a great line. 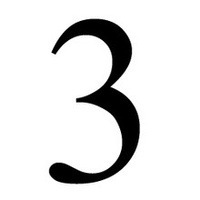 I like 3. So thanks. The concept of “don’t make me think” is as good as to be original content and having in it’s own word to describe itself, requires deep research to make quality content with cross checking the right resources to your article to make it valuable. …the 3c’s? Damn powerful! This is a nice one. I particularly take note that you actually implimented all of the 3 c’s in this post. one question here: what if i am to write a tech how-to article? Those types, usually, are naturally long ones. So how do i implement the concise? Is it to break it down? Am so curious to know this, cos that’s all the type of article that get to be on my blog – being a tech blog giving tips to aid individual home mobile phone repair. In terms of Clear, I remember reading an article about writing a sales letter. It stated that you should be able to remove all the copy except the headings and someone would still be able to understand what the sales letter was offering. This plays to the human nature of subconciously scanning the headings and forming an understanding of the content before deciding to read. Whilst the article I read was specifically about writing sales letter I think the principle applies to web copy in general. Clear, compelling – agreed. But I do not agree that we can always be brief. At times, examples, illustrations are required. Without them, the post loses out its zing. Whilst it is very important to get down on what is unnecessary, it cannot be done at the cost of illustrations/examples. Great post. I think every writer of the web should read this. There is so much text out there that isn’t generating the traffic it should be because it doesn’t follow these principals. No-one wants to read long lists and masses of text. People are lazy if they can get away with it, so concise, relevant text is what they want to read. Good point about SEO copywriting. You’ve also got remember that search engines will never buy from your site – you need to convince the human visitors, and that’s where compelling copy works. If it weren’t for the internet, writers wouldn’t be so important because it seems like writing is dying in the offline world, i.e. publishers and books, newspapers, magazines. The internet made writing important once again. Most people take it for granted though and don’t put much effort into it. Great article. You point out the obvious, but it’s something we all need to be reminded of. Ugo Onah: If you have a long How-To article, figure out how to break it down into smaller components. You can do this by creating Parts 1, 2, 3, etc… Great way to create a series that stirs anticipation. It’s funny. When I was teaching persuasive writing, I said that the three most important things were being clear, concise, and persuasive — almost but not quite your very same list. Of course, web content and persuasive essays aren’t quite the same thing either. Clarity is necessary in almost all writing, I think (academic writing seems to be the exception and that’s a shame). That doesn’t always mean the simplest sentences, just using the best word choice and sentence structure to convey your meaning. This is a great list and definitely gives a very clear, concise, and compelling broad overview of how to write winning content. I love to keep up with best-practice copywriting across all media so I enjoy these emails. However, I still do think it’s important to move away from using the word ‘his’ as a collective for males and females. It’s clumsy to use ‘his/her’ or ‘her/his’ I know, but still necessary. Look forward to your next instalment! I will say this, you got me pulled in by your title. Your piece was clear and concise and to some degree compelling. I think you are right, be clear, get your message across and get done. The average reader doesn’t digest and think all day about what they are reading, he/she wants to know so they can move on to the next thing. Absolutely do NOT lie, fabricate or exaggerate, I am a firm believer on that. Sorry, no debate from me on this one. I loved the simplicity of your message. I’ve recently put up my coaching/proofing website and started blogging and decided that clarity is all. The compelling part hopefully comes from being who I am rather than overloading on keywords. When prospective clients meet me they feel they already know me a little and we are already halfway there. I look forward to reading more of your posts. It’s just that simple. Well written, Demian. Interesting article. I am based in South Africa and I have just launched a website that I am not sure yet what to use it for but I am considering copyrighting as one of the options. I am sure your article will go a long way into helping me in my journey. Any other resources that I can use would be greatly welcome. Thanks. Those are sure three killer ways to creating great content. This is a great post to emphasize how powerful and how important quality content really is. Thanks for sharing the 3 steps to write a killer content. Thank you for putting it in point system, short and straight to the point . It is especially useful for internet business newbies. I found this post interesting, as I had recently done an article about using these very words. As usual another great article. Simple writing which which engages the reader is key to writing good content. Keyword density, highlighting text etc is just not required. Good copy is good copy. Period. Great reading. I am really learning a lot from Copyblogger. Killer content is killer content, but surely the odd header tag and a bit of bold text doesn’t go amiss, especially when a blog is new? Your dead on, Ravi. Good luck to you and your career. Great article. love it. thanks for posting it. I would disagree, creating content is hard. At least hard for some people, who are not naturally writers, having said that the points you make are essential to creating great content, I hate to read anything that is not concise, like listening to someone who talks and talks and talks but says nothing. I agree. There are so many details that noobs get caught up with. When it comes down to it people should just concentrate on quality content. After all Content is KING, plain and simple. True Jack that content is king but compelling content is the true king. If you can engage with people then you have half the work done alreday. Writing has always been a challenge for me. I strive to get better, but it never seems to get any easier. Being concise is exactly what should be put into writing content. Very compelling article, thanks for sharing. Demian, this is an excellent article. A clear and concise article is alot easier to create then a compelling one would be. Yours is pretty compelling and got my attention. How about more information on compelling. Thanks Demian, very informative and helpful. Concise. Great points you make Demian. It really does come down to creating content that is worth reading, the rest will follow. A good quality post can automatically give you hundreds of backlinks as people will link to it since its useful.